The place to go to buy or sell a business! Published in Victoria Times Colonist, 11-20-12, click here to read. Running a successful business requires more than just having a great idea. It requires a skill that not all of us are born with—leadership. The good news is that leadership skills are something you can learn. They’re something you have to learn if you want to build a successful company. Be a good listener - Listen to your employees and customers, and you’re guaranteed to find some great ideas that will help you improve your business. When you use ideas from someone else, show them a little love by thanking them and giving them credit. Communicate with your team - One of the best ways to avoid disgruntled employees and a dysfunctional team is to communicate clearly with everyone. Always let your workers know what’s going on and what you expect out of them. Also, give them insight into the bigger picture so they know your company’s overall goals and vision. Don’t be afraid to make mistakes – Nobody is perfect, neither are you. It’s impossible to run a business without making mistakes, but great leaders understand that mistakes will be made. That’s just part of being an entrepreneur. It’s how you rebound from those mistakes that really count. Surround yourself with smart, talented people - As a business leader, it’s important that you build a well-rounded team. You should understand your own abilities—your strengths, your weaknesses—and surround yourself with talented individuals who possess the skills you lack. Be willing to delegate - If you’re never willing to give up any control, your company will never grow to its full potential. There’s only so much you can do on your own. You have to let your team do the things they do best. Always be looking forward - A good leader is always visualizing the future. You need to think about what you want for your company and create a plan that helps you achieve that. If you’re not looking forward, you’ll get stuck exactly where you are today. Hold yourself and others accountable - Accountability is important in all companies. You need to set clear expectations for what you want out of your employees and yourself, and you have to hold everyone (yourself included) for the results they produce. That also means admitting when you make a mistake. So, do you think you have what it takes to be a successful small business leader? What are some other important leadership traits you think should have made this list? Are You Eating Real Wasabi or Just Coloured Horseradish? Vancouver Island, BC (November, 2012) - Most North American sushi lovers have never tasted real wasabi (wasabia japonica). The spicy green paste that you have with your sushi is most likely a mixture of horseradish, starch, mustard, and food colouring. The fact is, real wasabi is rare, expensive and has remarkable healing qualities you may not be aware of. Pharmaceutical research has identified naturally occurring compounds in wasabi that show promise in treating a wide variety of ailments such as allergies, eczema, cancer and Alzheimer’s disease – a $200 billion dollar Biomedical market (Journal of Neurochemistry, 2008, 107, 1248-1260). However, the demand for authentic wasabi in the biomedical and culinary industries exceeds supply. Aside from the challenge of producing enough wasabi within its limited Japanese ecosystem, elevated radiation levels in the wake of Japan’s 2011 nuclear accident continue to impact the quality of harvest, reducing the number of plants for sale (http://www.good.is/posts/feast-your-eyes-radioactive-wasabi). The ability to grow wasabi in a greenhouse is the solution to providing contaminant free, commercial quantities to fulfill market demand. But can it be done? Historically grown in shade-covered streams, wasabi has been notoriously difficult to grow outside of its natural environment – until now. Backed by decades of research and development, government relations with the USDA, EPA, Health Canada and AAFC, wasabi is no longer limited to the streams of Japan. 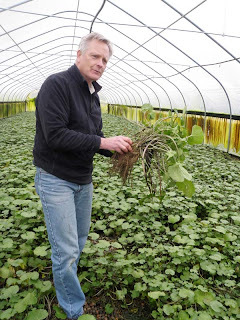 Successfully growing for six years on multiple sites, PhD Botanist Dr. Brian Oates of Pacific Coast Wasabi Ltd. has replicated a natural environment where conditions are carefully controlled - a proven “recipe” for producing high-grade wasabi in a greenhouse. This proprietary technology has placed the industry at the precipice of an innovative transition from small-scale farms to successful mid-scale commercial production. Savvy investors are recognizing this commercial growing system as an environmentally sustainable breakthrough for the wasabi production industry. The buyer of your business will buy for his or her reasons, not yours. If you decide to sell because your business is not going well and you simply want to get rid of it... do you think a buyer will be convinced? Your attitude and what you say can drastically devalue your business and its true worth. Whatever your situation, your reason for selling must be convincing and your explanations consistent. It's only natural that you will want to get the highest price you possibly can. Although how much you get is important, it won't necessarily drive your ultimate decision to sell. 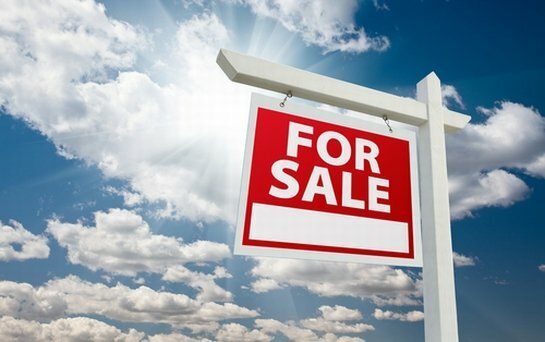 For most business owners, the decision to sell is usually a combination of personal and financial reasons. Is this your situation too? The chances are you will have a personal attachment to your business. It’s been part of your life for some time now. Only you are capable of making the ultimate decision to sell. The same applies to buyers. It won't just be a financial decision, it will also be about lifestyle, personal independence, freedom to express themselves, maybe an escape from the corporate "rat race", or the satisfaction of being in charge of their own little empire. The price they pay is important, as it will need to stack-up financially, if they are to convince someone to lend them money. However, financial considerations alone will not drive their decision to purchase. Buying the business will change their lives and they know it. Only the buyer is capable of making the decision to buy. Remember at the end of the day, both you and your potential buyer will have to balance the imagined personal gains against what could be uncertain financial prospects. Here's the crunch... because you as a seller are offering a business opportunity and NOT a business guarantee. Article by Noel Pebbles "Sell Your Business the Easy Way"
With the never-ending birth of small businesses, it becomes difficult to market your business in an effective manner so that it stands out for people to take notice. It seems that the only way to market your small business effectively is to spend on expensive marketing strategies. With this knowledge, a lot of small business owners set out to spend their savings in marketing their business, placing their hard-earned money and the future of their business in the hands of a very costly marketer. The individuals, who don’t have the money, either give up or consider their business to be doomed. This doesn’t have to be so, there are numerous affective ways to market your small business that are affordable and let you decide how you want to portray your business. Become visible: Network with people, join clubs and organizations in your community to spread the message about your business. Talk to the people who may be connected to the services you provide so that they can recommend you to their customers. Use the internet: Join online communities that relate to your business. This will not just help you market but you can also learn a thing or two that you could put into practice. Write in blogs offering suggestions in areas relating to your company. Create a Website: There are a number of free, easy-to-use tools that can help you create an appealing website. Make your site stand out by using eye catching photos, writing a good description of products and services offered, and make it easy to navigate. Provide information: Provide information to your customers absolutely free, the more people understand your business; more are the chances of them talking about it and availing your services. Getting a toll-free number and advertising that number is a very big help because people can then call you to find out about the business rather than having to read about it. Offer incentives: Apart from creating discount strategies, offer additional benefits for the customers who get more customers. This is an incentive for them to not just bring more people but also to keep coming back themselves. Small business owners—do you have any tips to share on effective and affordable marketing strategies? As social networking sites such as Facebook become more popular, do you find them to be a great marketing tool? Selling a business is never an easy decision. There could be various reasons for an owner to sell his/her company, however, the decision needs careful consideration as sometimes a hasty decision to sell can lead to feelings of regret, guilt, and loss later. The owner needs to assess the situation and determine whether they are ready to sell their business and prepare themselves emotionally and mentally for it. Debt: When the outgoing becomes more than the incoming, it is a red flag. A lot of owners end up losing their savings, their assets, and even their houses just because they keep investing and covering themselves with more and more debt to revive their business. A careful consideration of the option to sell the business to recover cost when the debt starts to grow uncomfortable is a good idea. Business ceases to be profitable: This could be because either the product loses market appeal or the mode of marketing becomes redundant. This is in fact, a good reason to sell if it is not possible to better it in any way. Passing it on to heirs: This is one of the most preferred ways since the business still stays in the family. Sometimes the owner can’t take the business to the next level, compete with the market, or perhaps they just want the new generation to begin managing the business. New Business venture: A lot of small business owners start a particular business in order to generate enough income to start their ‘dream’ business. Boredom: Owners often lose the excitement of owning a business and this happens when the stress of the business becomes unmanageable for them. It is important that the owner is completely sure that they do not want to manage it anymore, not just because of a one-time event. Retirement: Many people plan their business in a manner to retire by a certain age, and when they reach their milestone, they sell to move on and enjoy their lives just as they had planned. Why Use a Business Broker In a Business Sale? Any business owner who has sold a business on his or her own will tell you it’s a long, tedious and stressful process. It consumes time and distracts you from the day-to-day operation of the business. While your focus should be on maintaining or increasing the value of your business, all of your time and energy is directed to the sale process. Confidentiality. A business broker protects the identity of the company and only exchange information to buyers approved by the seller after signing a Confidentiality Agreement. This agreement binds the prospective buyer from disclosing any information on the operations of the business. Business Continuity. Selling a business is time-consuming for an owner who already is probably wearing many hats for the company. By taking on the additional load of selling the business, essential functions will get less attention and possibly damage the business. The owner can maintain a focus on running the business when a broker is working on the sale. Reaching potential buyers. Business brokers have the tools and resources to reach the largest possible base of buyers. They screen these potential buyers to find the most qualified buyer that is well suited to the business and will be able to run it successfully. Balance of Experience. Most corporate buyers have acquired multiple businesses while sellers usually have only one sale. An experienced business broker can level the playing field for a business owner by making his one and only business sale. Utilizing the services of an experienced, professional business broker allows the owner to focus on running the business reducing the risk of business erosion during the sale process. A sale facilitated by a business broker helps maximize sales proceeds by involving a large universe of buyers in a confidential, competitive bidding process. Whether you are ready to sell your business or are looking to buy a business, BC Business Brokers is the place for you. As an affiliate of Sunbelt Business Brokers BC (West Coast) Inc. and part of the largest business brokerage network in the world, let us guide you through the transaction process. Contact us today to discover why BC Business Brokers is the place to go to buy or sell a business. Sunbelt Business Brokers BC (West Coast) Inc. Simple theme. Powered by Blogger.